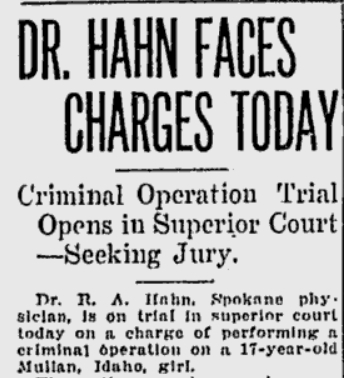 Young cities in the 1900s, especially those who were recovering from post-fire downtown, exercised freedom and ingenuity when it came to rebuilding Spokane's infrastructure. New technologies allowed for a variety of options resulting in taller buildings and attractive amenities. Wealthy businessmen and young architects quickly partnered to put their individual marks on Spokane's cityscape. After the first decade, space grew increasingly scarce. The Raznik Building is a great demonstration of how resourceful these innovative professional could be.The structure in front of you is a simple sixteen feet wide and one hundred feet deep, the building fills a site that was formerly an alley. 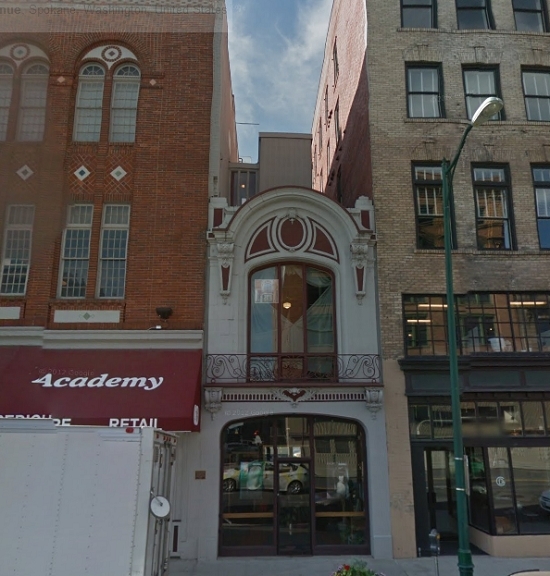 It is wedged in between the historic Robertson Building and the Morgan Block. The Raznik Building was the smallest fireproof building in Spokane. The property was owned by Max Raznik and was built in 1912, at an estimated cost of $20,000. Typical for this kind of building, the first floor was used for retail and the upper floors were divided into private rooms. This tiny building has been home to several various businesses including Bob's Chili Palace and Dr. Hahn, who was a Physician and Surgeon. More recently, the Raznik Building has been incorporated into the Robertson Building for the Glen Dow Beauty School, and public facilities were added. Joseph Levesque designed the Raznik Building. Levesque was a popular choice for the time to be the designer behind Mr. Raznik's vision. After creating a few independent buildings, Levesque partnered with another well-known Spokane architect Alfred Jones. Jones and Levesque put their skilled artistic touches on many significant Spokane structure including the First Baptist Church, the Kemp and Hebert Building and the Rochester Apartments. Lacey Sipos, “Raznik Building,” Spokane Historical, accessed April 21, 2019, https://spokanehistorical.org/items/show/338. Durham, Nelson Wayne. 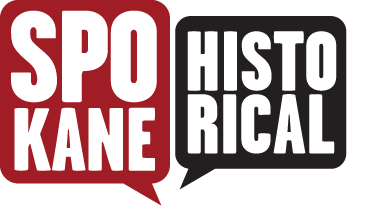 History of the City of Spokane and Spokane County, Washington: From Its Earliest Settlement to the Present Time. Vol. 3. S.J. Clarke Publishing Company, 1912. Hyslop, Robert. Spokane's Building Blocks. Spokane, WA: Standard Blue Print Co. Inc., 1983. Kolva, Jim. 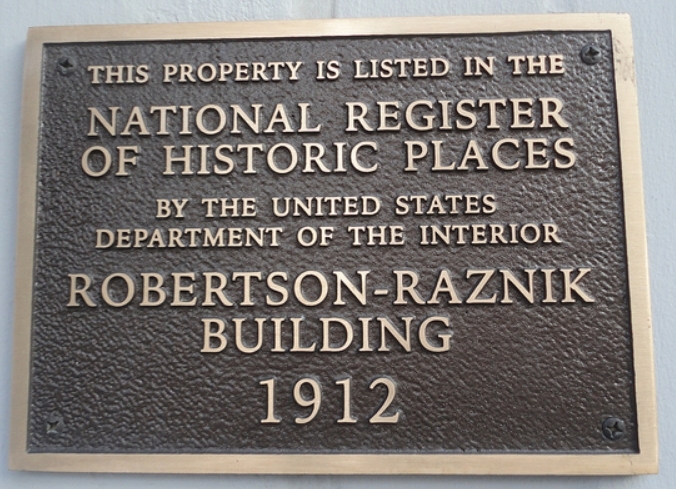 "National Register of Historic Places Registration Form: Raznik Building." National Park Service August 4, 2004.